How much more? At least $100. 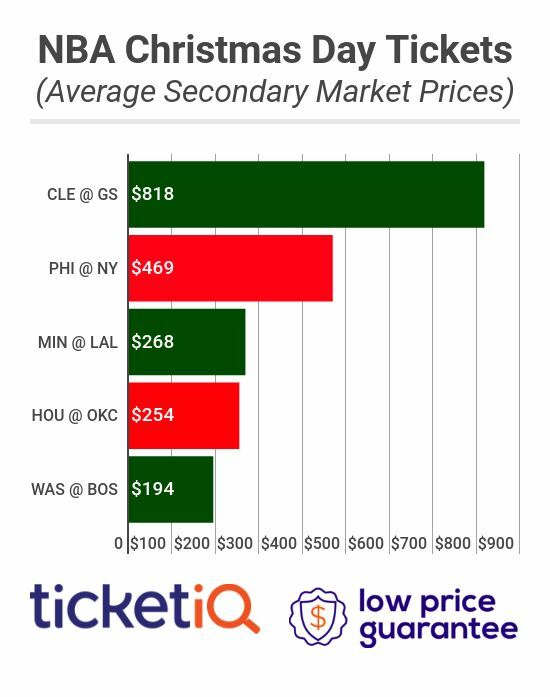 As of Dec. 19, according to TicketIQ.com data, the average asking price for the five Christmas games was $503.55. Of course, that number is heavily skewed by the much-anticipated NBA Finals rematch between the defending champion Golden State Warriors and the Cleveland Cavaliers. That game, which will be played in Oakland, currently has a secondary market asking price of $818, making it the second most expensive Christmas Day game since TicketIQ.com started tracking data. The most expensive Christmas game in history was the 2015 Cavaliers at Warriors matchup, which ran an average of $1,010.81. The third priciest ticket cost $786.68 when the Clippers played the Lakers also in 2015. After the Cavaliers-Warriors game this year, the next most expensive ticket is the rivalry game between the Philadelphia 76ers and New York Knicks at Madison Square Garden, which has a current asking price of $468.92. 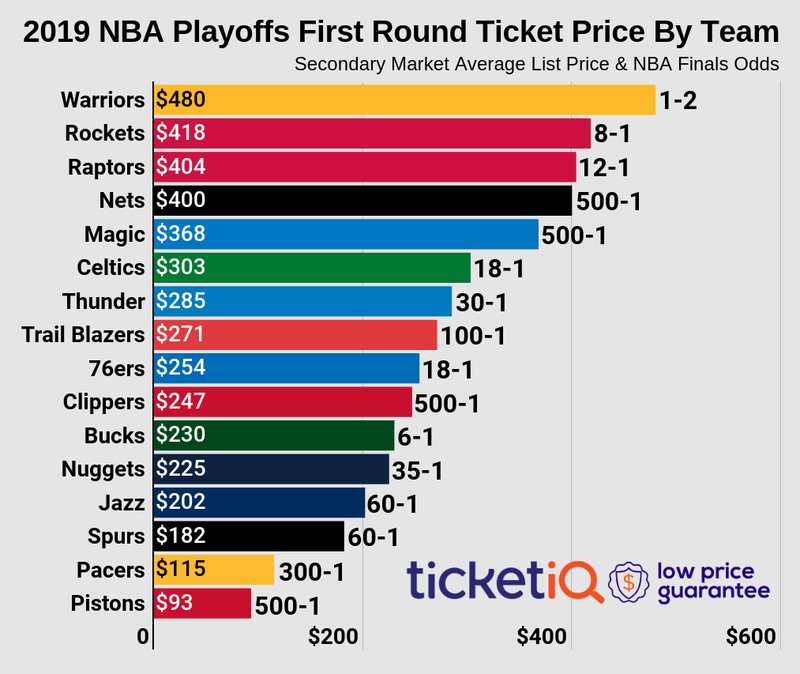 The cost of a ticket to the remaining three Christmas games are: $268.39 for the Timberwolves at the Lakers; $253.75 for the Western Conference-leading Rockets at the Thunder; and $193.62 for the Wizards at the Eastern Conference-leading Boston Celtics. For the seven years that TicketIQ.com has been tracking data, the only venue that has hosted a game every season is Staples Center, home to both the Lakers and Clippers. Madison Square Garden has hosted five Christmas Day games, including consecutive games in 2016-2017 and 2013-2015. Only the Thunder has played on every Christmas Day since 2011, while the Lakers, Clippers and Golden State Warriors have played six of the last seven years. No matter what game you want to try to see, TicketIQ.com is your place to buy tickets. Among TicketIQ.com’s Low Price Guarantee listings, fans can snag tickets to the Cavaliers-Warriors game for $221 for seats in Section 223 near the top of the arena or for $4,084 for a floor-level seat in Section 14 near center court.